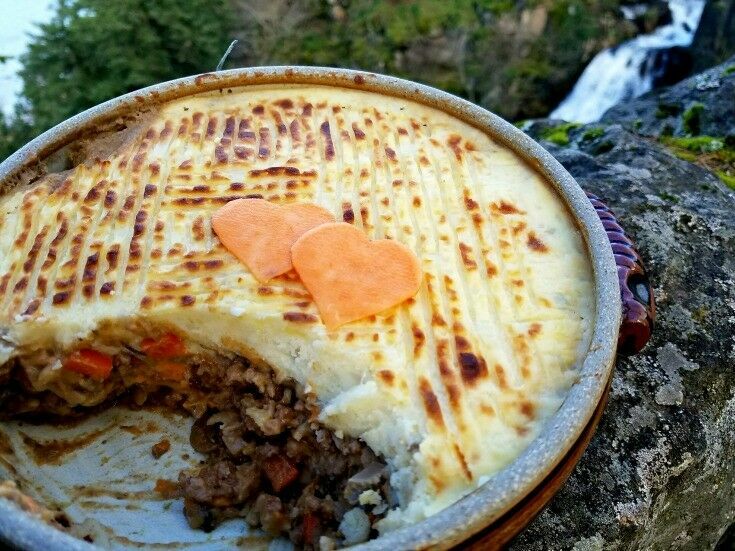 Shepherd’s Pie is classic comfort food – rich, warm, and deeply satisfying. One bite of this time-tested family favorite will wrap you in a blanket of goodness as cozy as a winter fire. It’s just that good. Some years ago, on the day after St Patrick’s Day, my daughter Gracie and her father were t-boned by a truck-driving teenager. Gracie sustained multiple threatening injuries, and was admitted to ICU, where she stayed for nearly a month. At the time, in addition to nine-year old Gracie, we had four other young children, including an eight-week old newborn. The girl’s father held down the fort at home, and Baby Em and I slept and lived at the hospital with Gracie. I survived the first week almost entirely on saltine crackers and Jello Pudding cups from the ICU refrigerator. It was several days before I finally made my first real trip home – to take a real shower, revive my spirits, and visit my other girls and their father. When I arrived, I found my dear friend Bev and some other ladies in my kitchen, delivering dinner to my family. After a short visit with the ladies, I went to shower and clean up. I read the girls a book, sang them a song or two, and packed up for the next week. Almost as an afterthought, I spooned some of the potato-topped casserole that Bev had left us into a plastic tub to take with me, and then I buckled Em back into her carseat and sped off to the hospital. It wasn’t until late in the night, as my injured child slept amidst her web of tubes and wires, that realized I was hungry. When I opened the plastic container, the sterile hospital air filled with amazing savory goodness. 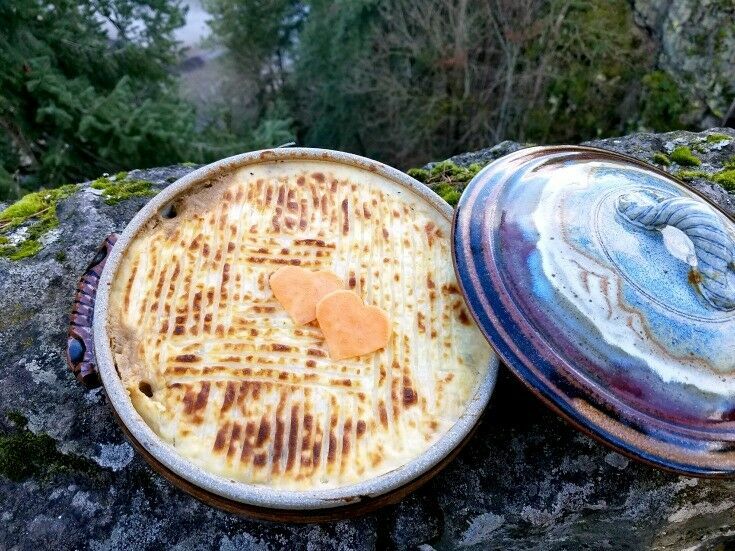 Padding down to the Parents’ Kitchen, I microwaved it, and then, fork full by fork full, I let that Shepherd’s Pie wrap me in a blanket of warmth, kindness, generosity – and hope. 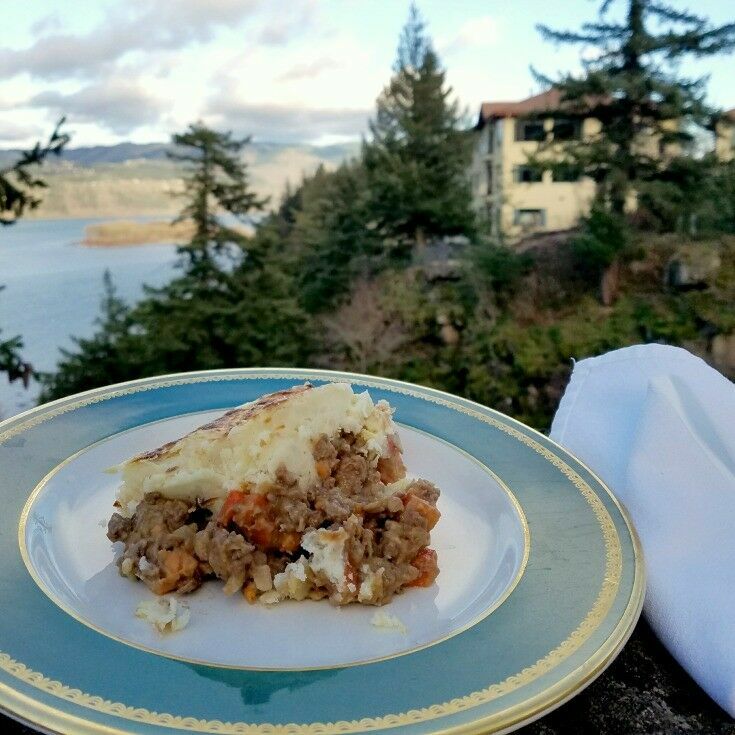 Even today, the memory – standing there alone in the hospital kitchen eating Bev’s Shepherd’s Pie – brings me to tears. 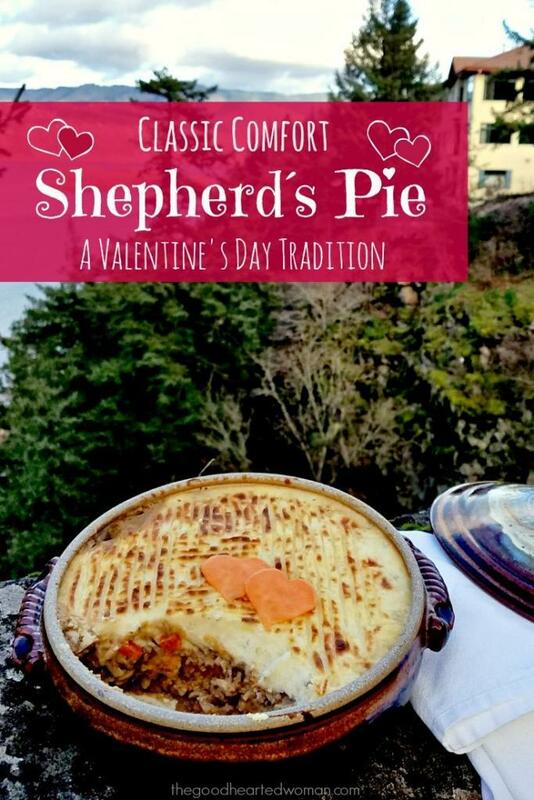 So, yes, Shepherd’s Pie means love – at least to me. It is warm, comforting, enduring, and hope-filled – and serving it to the people who mean the most to me in this world is one way I show my love to them. Brown ground beef in a large skillet. Remove from skillet, drain and set aside. In the same large skillet, heat olive oil over medium heat. Add yams, onions, and carrots and cook until everything is soft. Add mushrooms and cook until mushrooms have released their juices and are softened. Sprinkle flour over everything, and then squirt in ketchup. Cook and stir for about one minute. Add cream and cook about another minute. Add wine or juice, Worcestershire sauce, and thyme and simmer over medium heat, stirring frequently, until mixture is thick but still saucy, 5-8 minutes. Add browned ground beef to the mixture in skillet and stir to combine. Pour mixture into a 2-quart casserole dish. Adjust oven rack to upper middle position and heat oven to 375°. Drain potatoes, return to saucepan and mash with butter and cream until smooth. Season with salt and pepper. Bring potatoes, sweet potatoes, 1/2 teaspoon salt, and water to cover to boil in a large saucepan over high heat, Reduce and simmer until tender, 15-20 minutes. Drain potatoes, return to saucepan and mash with butter and cream until smooth. Season with salt and pepper. Spread potatoes over filling, using a spatula spoon to smooth top. Brush with egg and drag a fork across the top to make ridges. Bake until the filling is bubbling, about 15-20 minutes. Turn on broiler and cook until top is golden brown, 3-5 minutes. Remove and cool 10 minutes. Serve. 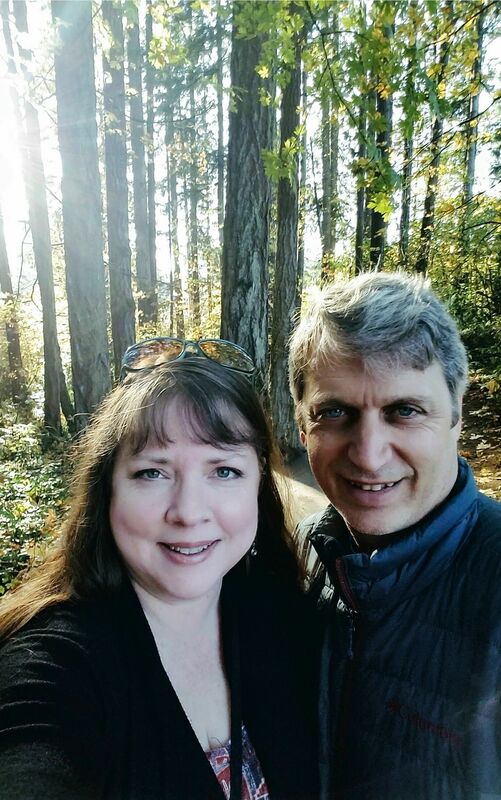 I took these images while on a Valentine’s Getaway in the Columbia River Gorge. My thanks to the Columbia River Gorge Hotel for loaning me a fancy plate! 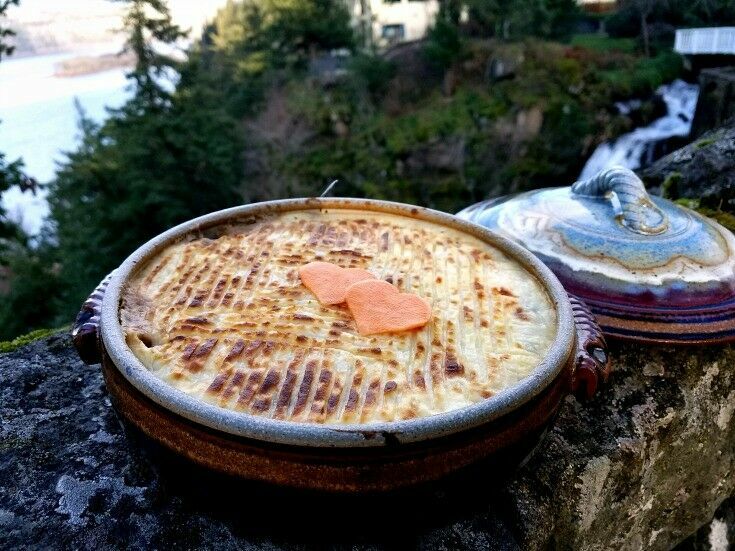 Bev’s original recipe is A-Mazing, but over the years I’ve made a few tweaks; for example, the original recipe calls for peas, but I substitute diced yams because, as I mention frequently, I strongly dislike cooked peas. 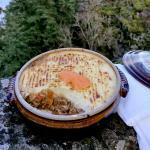 Who in your life would savor some Shepherd’s Pie? Totally true! 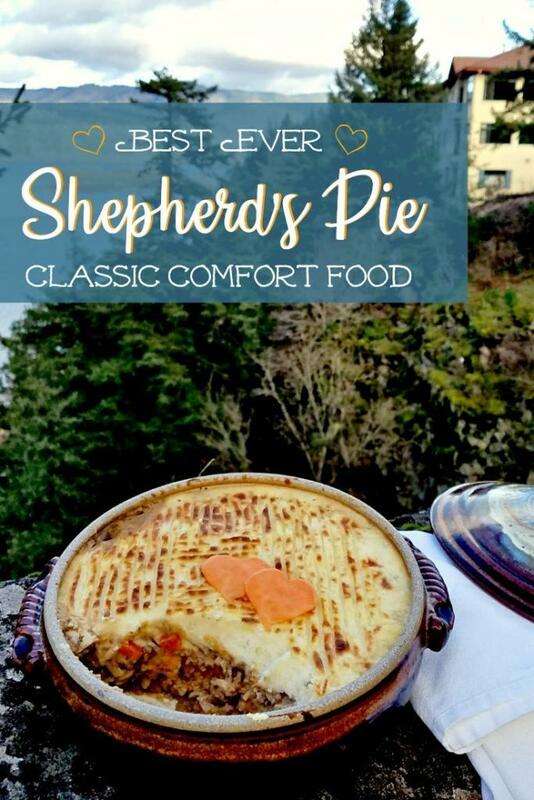 Shepherd’s Pie is loving comfort- it has buttery mashed potatoes and hearty stewy meat too to warm you up from the inside! 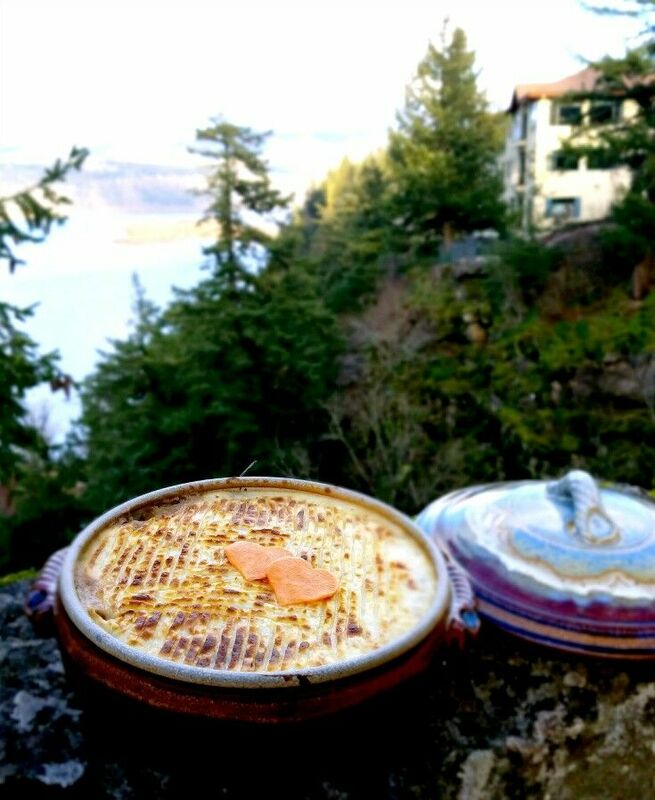 Dear Renee, such a beautiful story about the Shepherd’s Pie at the hospital, and the generous, loving hands that made it for you. I too have similar specific food memories after my son Jacob had brain surgery and years later my son Hudson was in the NICU with complications as a newborn, following a surprise diagnosis of Down syndrome. Delicious, nourishing food is so important at times like that, and good food too. 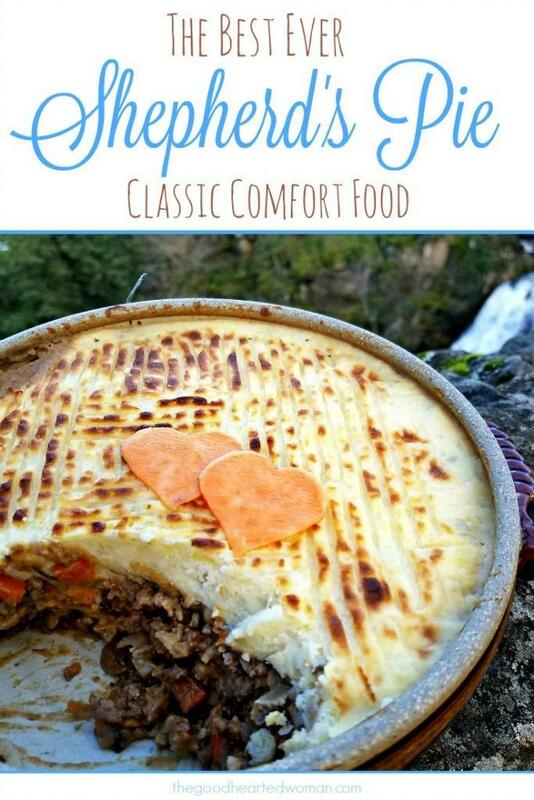 Your shepherd’s pie is beautiful and filled with love and a whole lot of delicious!